John Watson is the man who keeps Sherlock (somewhat) grounded. He seems to be the only one who can put up with Sherlock's attitude/personality, which is good for Sherlock. He needs a connection with humanity, and Watson fills that role. ​Watson's style is simple and straight forward - which fits his military background quite well. Whether you just like John's style and want to incorporate it into your own, or you're going for a John Watson cosplay costume, I've found quite a few of the exact items he's worn. ​Watson's black jacket with the shoulder and elbow pads is made by Haversack. And like most clothing used on the show, is no longer in production. I usually don't like using Ebay since items tend to not stay in stock for very long, but it looks like this particular seller uses Ebay as their "store". So I'm fairly confident they'll have it for sale for quite a while. A lot of times once the item goes out of stock, the link won't work anymore, so I'll do my best to keep an eye on that item and keep the link up to date. ​The other main coat that John wears is his Woolrich parka. This is the green coat with the fur lined hood. Unlike his Haversack jacket, the Woolrich parka is still for sale. This Woolrich parka in dark green looks like an exact match to John's coat. ​If you don't mind going used, as of the time of this writing, there are actually plenty for sale on Ebay. Just remember that John's jacket is the color forest green, and you want the one with the fur lined hood. ​John wears a few different button up shirts, but the one that sticks out to me the most is his pink/salmon colored button up. There are of course a lot of options you could go with for John's button ups, but I'd go with a less dressy shirt (IE not the typical dress shirt you'd wear with a suit and tie). The first thing that comes to mind for me are Oxford dress shirts. They still look nice with the collar and everything, but the material is a bit rougher than your typical dress shirt. This Haggar Oxford dress shirt in pink matches John's shirt pretty well. And I also really like these H2H dress shirts, they have such a wide selection that you could really go with multiple colors here to match John's style. But if you want to match John's shirt's color, I'd go with the pink one. Next up we have John's cable knit sweater. This is the off white sweater that he wears with the thick stitching/patterns. Like his dress shirts, there are a lot of options to go with here, but the closest match I found is this Polo Ralph Lauren sweater in cream. Other than the small Polo logo, it's almost an exact match to John's cable knit sweater. 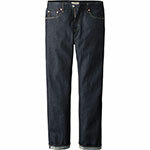 ​John's jeans (according to Sherlockology) are made by UNIQLO. The exact model/color aren't mentioned, but looking through UNIQLO's website, I'd say these dark regular fit jeans are the closest match. They're not a bad price either at about $50, but I can't speak for their quality or fit as I don't own a pair. ​If you don't mind being non-screen accurate, I'd personally go for Levi's (only because I'm familiar with their quality and fit). Watson's jeans aren't skinny jeans, they fit well but without being baggy, so a regular/straight leg jean is what I'd look for. As for color, he always wears a darker wash.
With those things in mind, I think the Levi's 505 jeans in the color rigid match and the Levi's 514 jeans in kale John Watson's style the best. ​Sherlock's costume department did a great job on John Watson's shoes. They look great, but they're a bit on the expensive side. If you don't mind the price, these Loake oxford shoes are the same ones he wears. If you want to get the same look but don't want to spend $300+ on shoes, thes﻿e Florsheim wingtip oxfords in either tan or saddle tan look almost identical to John's Loake dress shoes. ​Lastly, we have Watson's only real accessory, his wrist watch. Once again, thanks to Sherlockology, we know his watch is a Tag Heuer Chronograph CS2111 wrist watch. It's not sold brand new anymore, but I did find plenty of them for sale on Ebay (check them out here). ​The only problem? Yup, the price. If you want to own the exact watch John Watson wears, it'll cost you over $1,000. Tag Heuer watches are expensive all around though, so this isn't really too big of a surprise to me. However, I did find ​a much cheaper watch that looks really close to the Tag Heuer. It's this Sililun Chronograph wrist watch. It looks extremely close to Watson's watch, and it's pretty low cost - which is great for a nice looking watch.